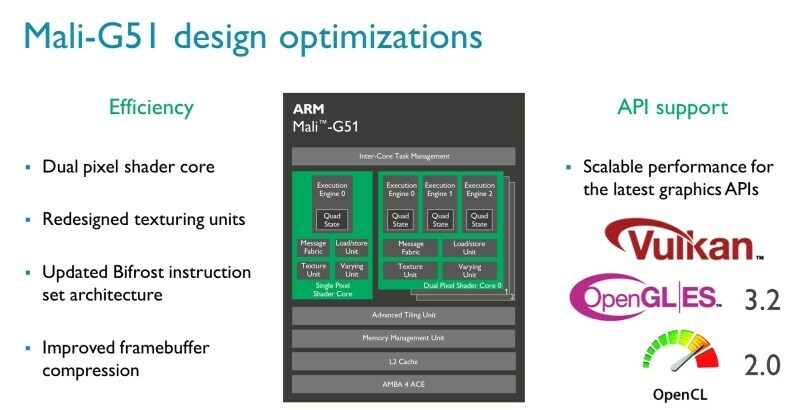 ARM on Sunday unveiled two new products – the Mali-V61 video processing unit (VPU) and the Mali-G51 graphics processing unit (GPU). The latter is scheduled to arrive in commercial devices from 2018. UK-based ARM Holdings, which has begun the process of being acquired by SoftBank, says the Mali-G51 is its most “area-efficient and energy efficient GPU till date.” Compared to its predecessor, the Mali-T830, the Vulkan-enabled Mali-G51 GPU is 30 percent smaller, offers 60 percent more performance per square millimetre, and, is 60 percent more energy-efficient. The smaller die size of the Mali-G51 is also said to help reduce costs, while providing better performance. It sports a redesigned texturing unit with double the throughput. The new dual-pixel shader core will double texel and pixel rates, and can now be used asymmetrically with the uni-shader core. 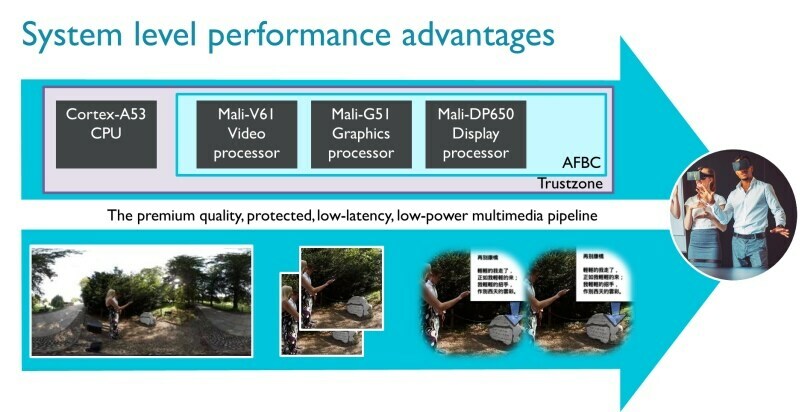 It also supports the latest version (v1.2) of the ARM Frame Buffer Compression (AFBC) technology, meant to optimise GPU performance in limited bandwidth scenarios.Coming to the Mali-V61, the VPU is meant to “address real-time video applications for Generation Z.” It supports real-time 4K video decoding/ encoding at up to 120 frames per second (4K120). The company says the VPU is aimed at live-streaming video applications like Facebook Live and Periscope. It is meant to address both mainstream and premium devices, with the company adding the VPU scales from 1080p60 on a single core to 4K120 on multiple cores. ARM says Mali-V61 GPU with its multiple encode/ decode stream support is ideal for video conferencing as well.